This beautiful Sunday afternoon we headed for the Hout Bay area of Cape Town. So many people had been talking about Quentin that we arrived with high expectations. 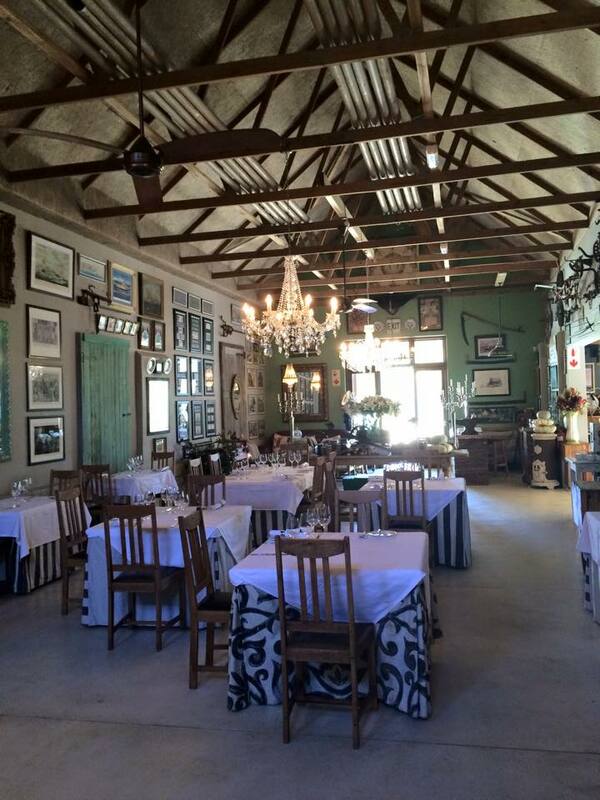 The restaurant is in the converted barn, set on one of Hout Bay’s original farms. The chef, Quentin, produces tasty dishes inspired by local produce. Quentin started his own catering business in 1996, having trained under top chefs in the hotel business. For many years he worked for Sol Kerzner, organising his legendary new year parties and also for the rich and famous at various glamorous locations like the French Riviera, Bahamas and the Caribbean. And then he decided to settle down in Hout Bay. Lucky for us. We sat outside under the shade of a huge tree. 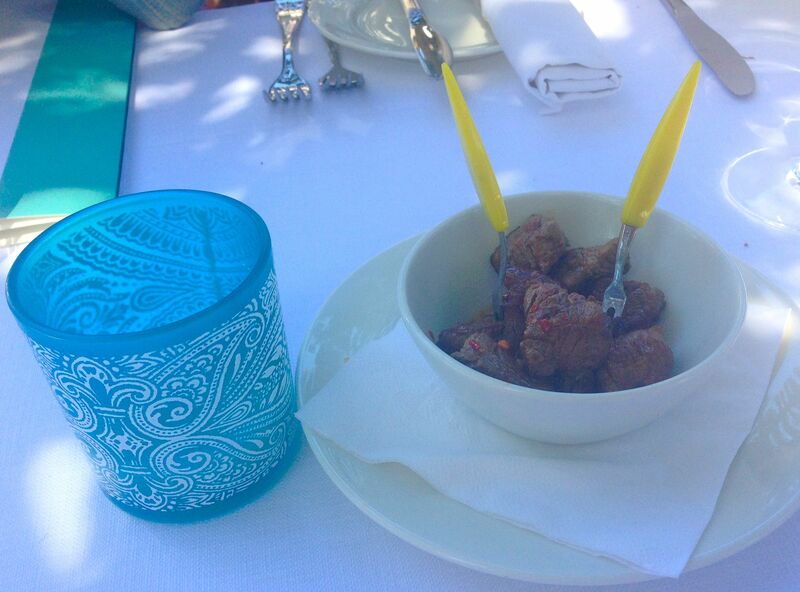 While we were pondering our menus little bowls of the juiciest steak appeared, served in a zingy chilly sauce. The menu is comprehensive with a wide range of meaty and fishy options. Choices were not easy to make! 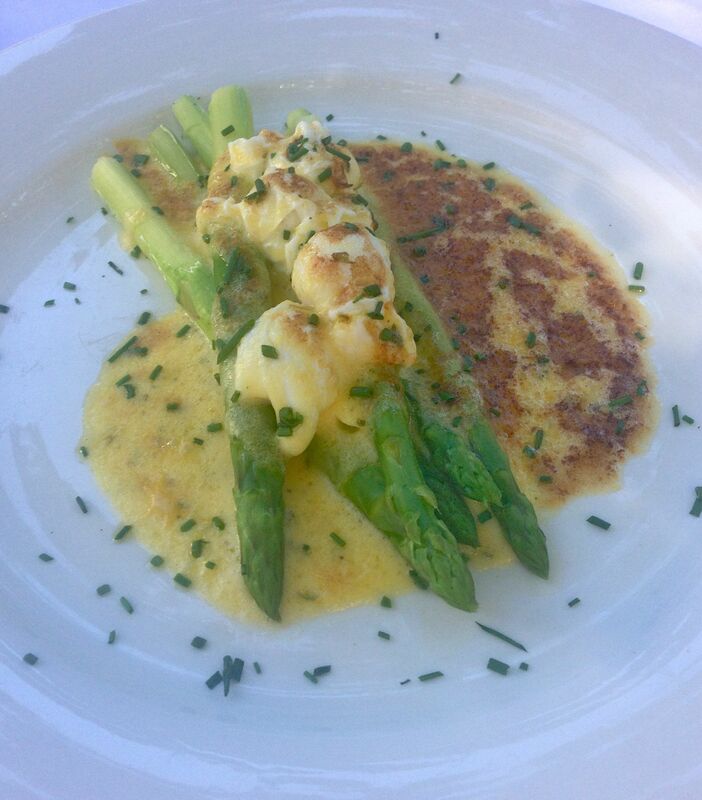 I do love a good asparagus starter, though, so had to go for the steamed asparagus with poached quail eggs and bernaise sauce. A classic with a slight twist – I loved the use of bernaise instead of hollandaise – the quails eggs were daintily delicious and the plate had been placed under a grill to brown and heat through. A really wow dish that I could eat right now. Thinking it would make a delicious breakfast, too! 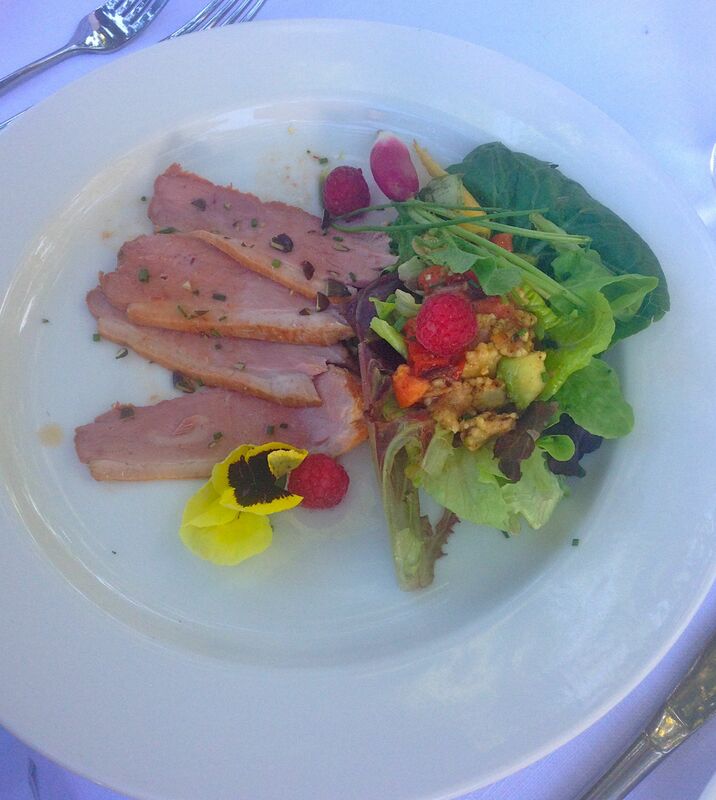 The smoked duck breast was served with a sumer salad and dressed with a berry vinaigrette. 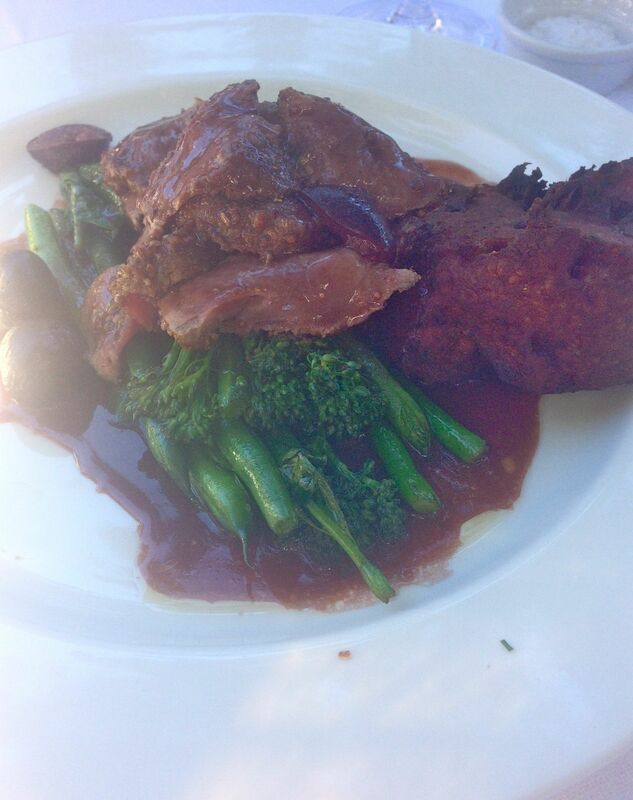 Thinly sliced duck and a tasty combo of textures and colours made for a beautiful plate of food. 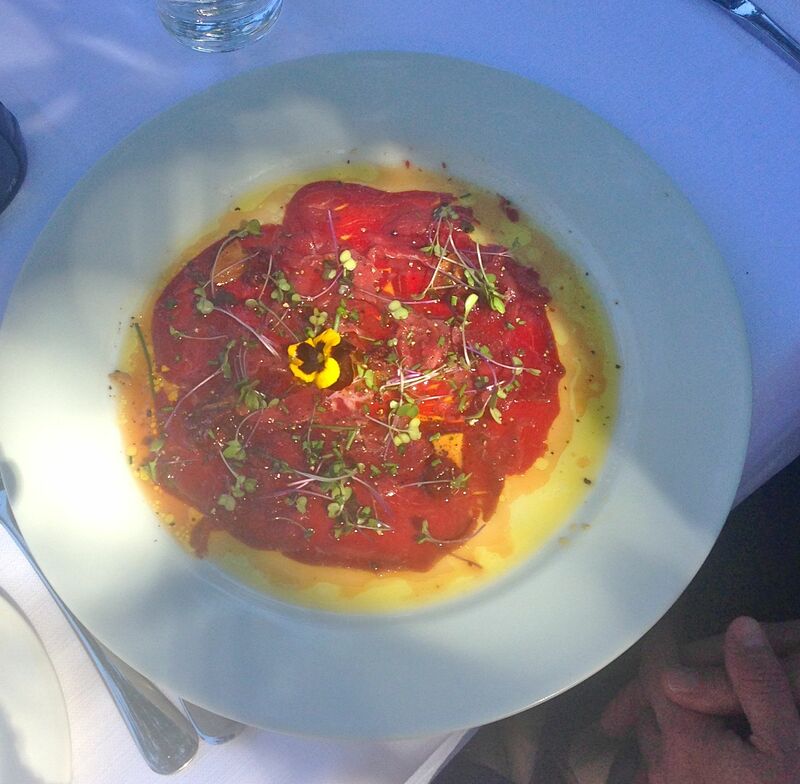 Carpaccio is devoured in Cape Town like you can’t believe. It’s the perfect dish for this nation of carnivores – I’d like to see how its consumption racks up against that in Italy. Bet it would be a close call. Today the offering was lightly smoked ostrich carpaccio with a spiced peach and sour fig vinaigrette. 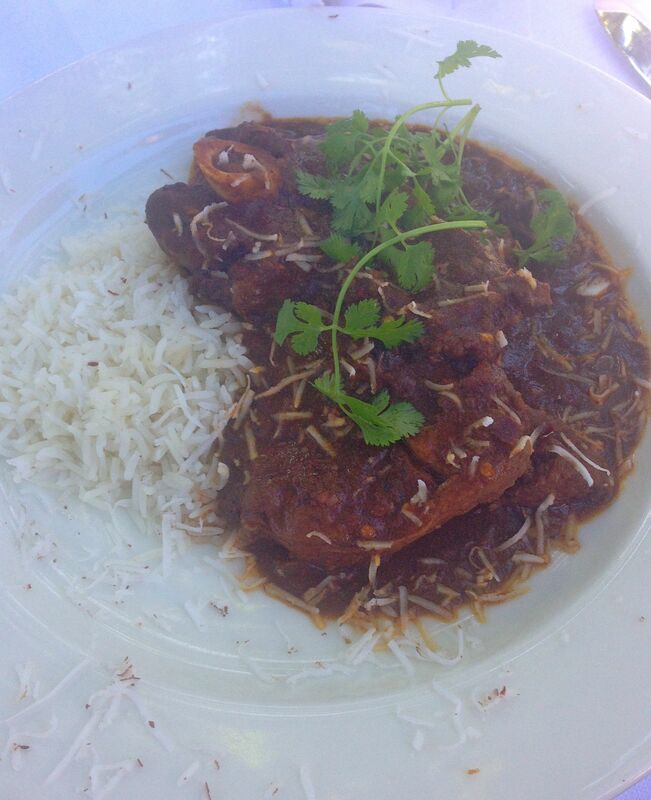 An amazing dish based around three lovely local products, producing something delightfully exotic! 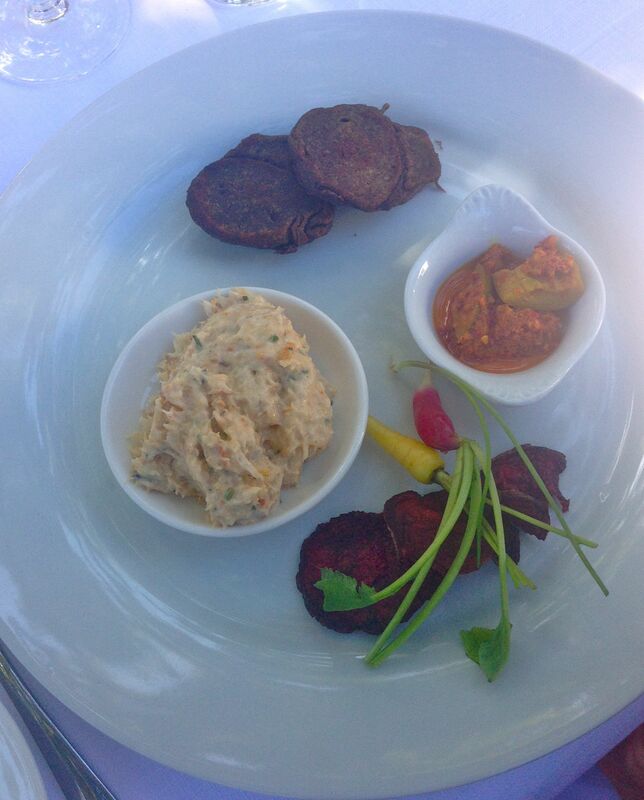 More local produce – the smoked snoek pate came with buckwheat blinis crispy beetroot wafers and mango atchar. I eat a a lot of snoek pate when I’m in SA – wish more restaurants served it. Satisfaction all around the table, and it was on to mains. The local kingklip (which is a dense white fish) has been fabulous this year, freshly caught and packed with flavour. 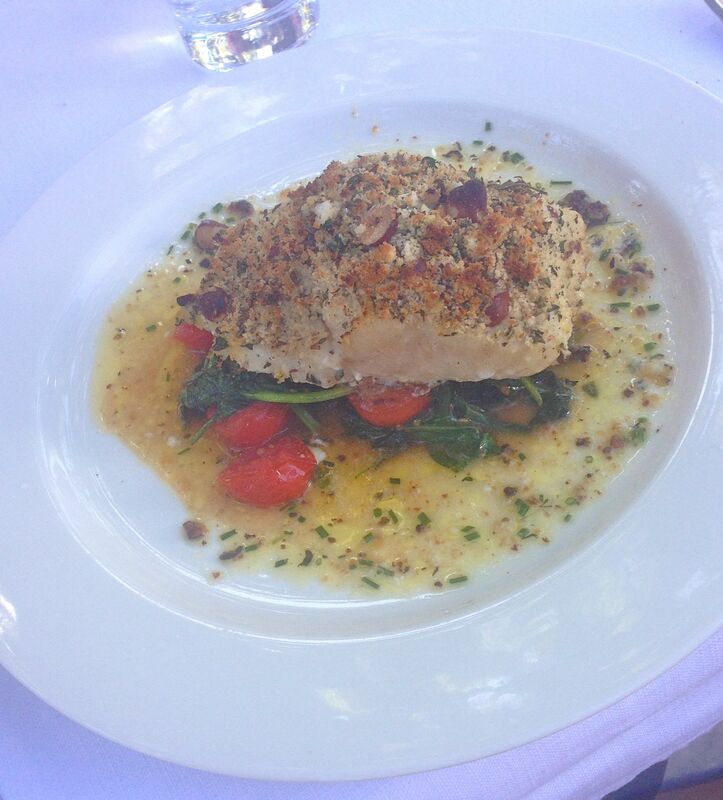 Today it was a roast loin served with citrus-infused pan juices, spinach and roasted tomato. This lamb curry is apparently one of Sol’s favourites. Served with basmati rice, sambals and Mrs Ball’s peach chutney. Tender lamb on the bone and you can up your chilli if you desire. 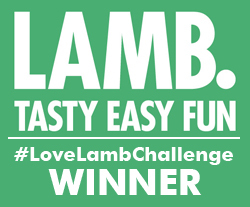 Mrs Ball’s chutney is a staple in every South African’s home – most supermarkets in London sell it now, I’m glad to say! 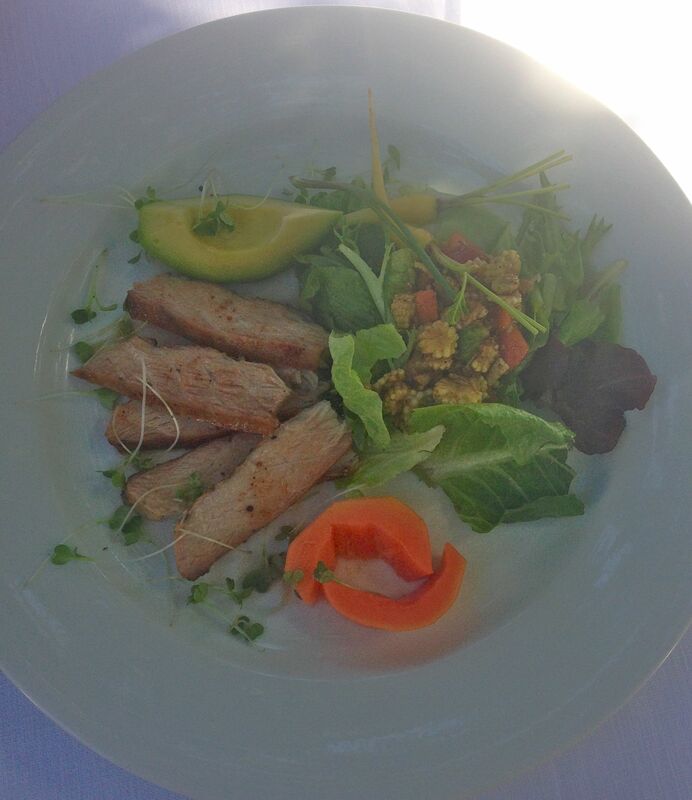 And now for an unusual dish – belly of tuna. One of our table is a fanatical fisherman who told us in detail how wonderful this cut of fish is and how unusual it is to find in a restaurant, so of course it had to be ordered. It was served cold, lightly smoked and with avocado and pawpaw. A beautifully summery dish with fish that melted in the mouth. I was in a quandary about what to have for my main. Never the most decisive when a menu’s put in front of me, today I was all at sea – and insisted that I order last to give me time to make an informed decision. When it came to my turn I still had very little clue until I suddenly (who knows why) decided I felt like springbok. Maybe it’s because we’re soon to return to the lights of London Town and I needed something truly South African in my belly? Anyway, what a great choice. It was served with a pumpkin and peppadew fritter, stewed figs and a Cape brandy sauce. I love pumpkin and peppadew (spicy little peppers) so found the fritter fabulous and the springbok was stunningly tender and packed with flavour. Another amazing dish using some of SA’s greatest ingredients. 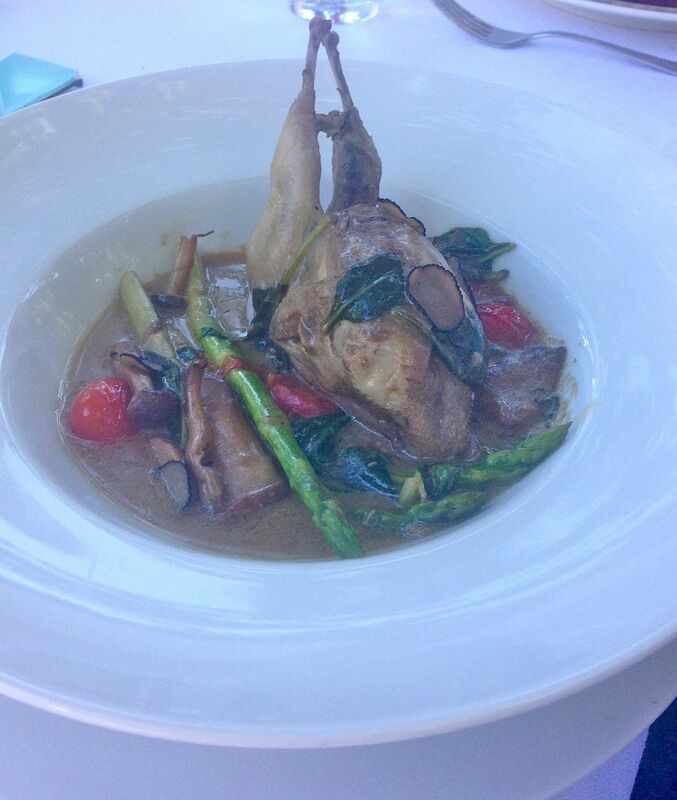 The quail was braised in cream with wild mushrooms and truffle and served with spinach, asparagus and tomato. 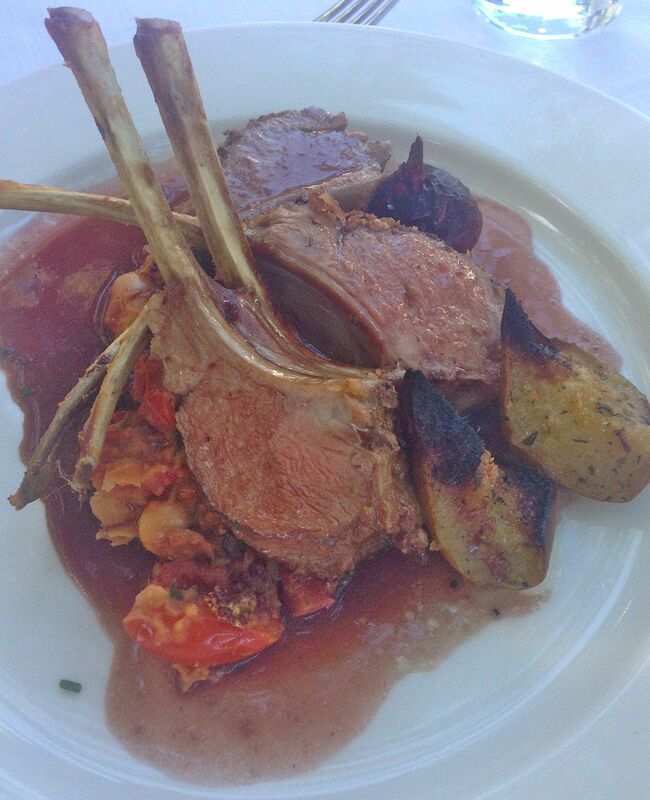 The roasted rack of lamb with a charred scrub-herb and whole grain mustard crust was seved with young beetroot, broken butter beans, caramelised pear wedges and a red wine sauce. Well, after all that we were happy diners. Problem with having two such great courses, you know that the dessert is going to be amazing too – so you have to carry on eating (not sure this really classes as a problem now that I think about it)! 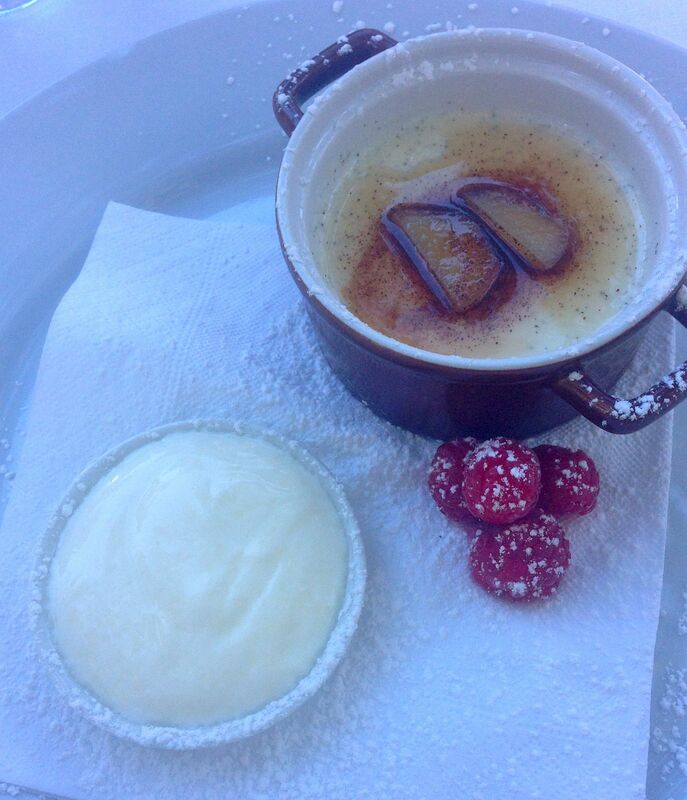 So it was time for a cinnamon and ginger milk tart panna cotta served with raspberries and Van der Hum creme fraiche. Totally melt-in-the-mouth, yummy creaminess. 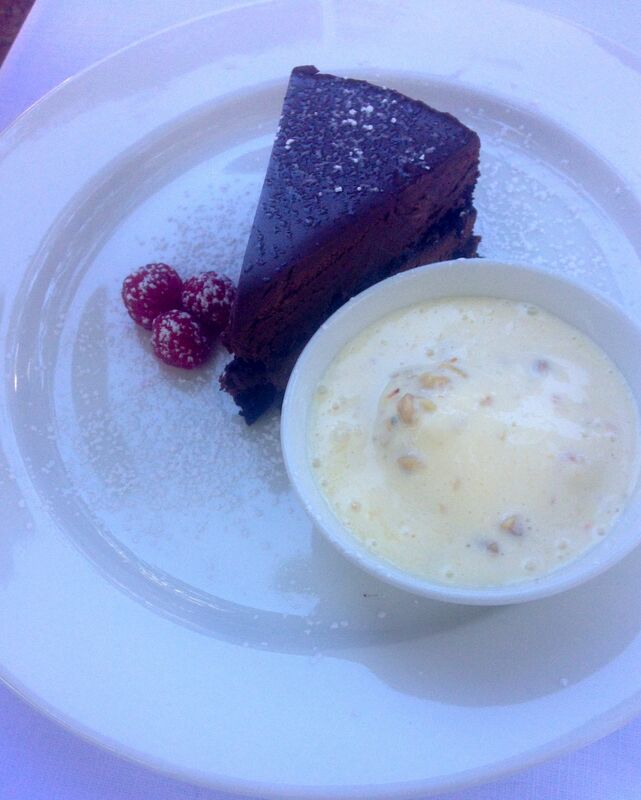 And then there’s always the dish for chocolate lovers to devour. Seventy per cent cocoa content, dark Lindt chocolate mousse garnache cake served with homemade hazelnut and burnt orange rind ice cream. I loved Quentin…the setting, the food, the service, the atmosphere. And the fact that all the dishes had a properly South African feel with local ingredients that worked together fantastically. We made a pact that we’d return same time next year for a Quentin reunion. Don’t think I’ll be able to wait that long…I’ll be back soon! Here’s a look at the beautiful interior. Quentin at Oakhurst is at Dorman Way, Hout Bay, Cape Town.